A 9-year-old girl identified as Irebami who was relocated to Togo, a year ago by her mother's ex-lover, has been reunited with her family. The young girl was reunited with her mother at a police station in Lagos on Monday. Men of Ikotun Police Division,Lagos, last week interrogated a Lagos-based herbalist, Kofi Mesan, for allegedly abducting the daughter of his lover, Adebisi Adelowo. 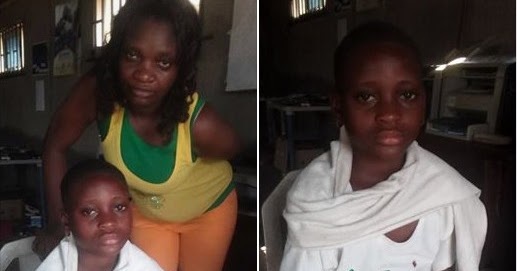 According to the woman, Mesan, who lives in Isheri-Olofin area of Lagos, allegedly tricked her into releasing her daughter to him with a promise to help her enrol the girl in school. She claimed that her daughter’s father was one Toyin Awolere, a spare parts dealer at Ladipo Market, Mushin, Lagos.